Jordan Peele, the mastermind behind the 2017 horror smash hit Get Out, has shown interest in a possible remake of Clive Barker’s 1992 cult classic Candyman. The director of Candyman, Bernard Rose, adapted Barker’s short story The Forbidden into the horror movie fans know and love today. As Peele is currently only in talks for the remake, it is still unclear what kind of storyline the proposed new movie would take on. In the original, Helen (Virginia Madsen) is a grad student who ventures into dangerous places to get the story she wants. Her curious need for information leads her to Cabrini-Green, the land where a public housing apartment building now stands, and the very place that Candyman’s ashes were reportedly spread across. Helen soon discovers that the Candyman (Tony Todd) is the son of a slave who rose to be a man of regard in the 19th century. He was an artist who was murdered when word got out that he fell in love with a white woman (who ended up pregnant). As punishment, a mob cut off his painting hand and slathered him in honey, leaving the bees to finish him off. In death, he kills those who say his name five times in a mirror by utilizing a razor-sharp hook that has been shunted into the bloody stump where his hand used to reside. Screen Rant reports that instead of a complete overhaul of the original film, Peele has pitched the idea of a possible sequel. Much like the newest addition to the Halloween franchise is set to do next month, Peele wants to forget the failed sequels of the Candyman series (Candyman: Farewell to the Flesh and Candyman: Day of the Dead) and create a proper sequel to the cult classic. Additionally, fans would likely be more inclined to visit theaters for a direct sequel since the original is revered by so many. 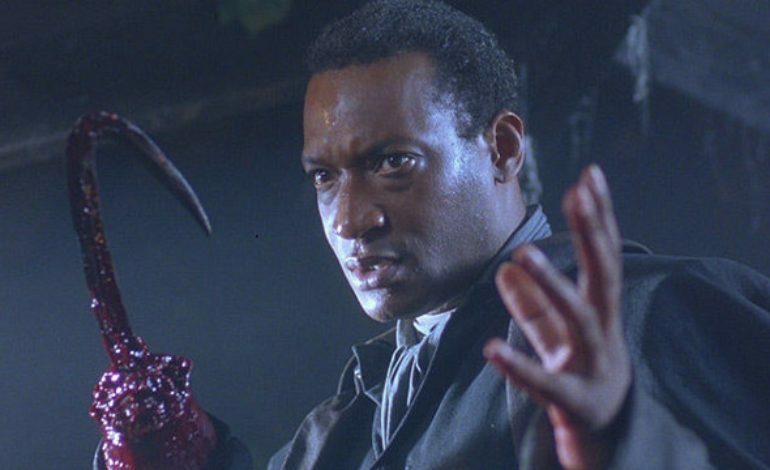 Again, details of whether the project will be a reboot or a sequel are still up in the air, but it does appear that this Candyman undertaking will bee in theaters sometime in the future.